"We are a very satisfied customer. VTSL has delivered promptly both in terms of sales and service. 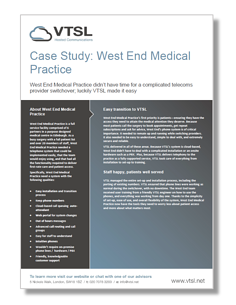 They are one of the best, most customer-friendly organisations I have dealt with!" 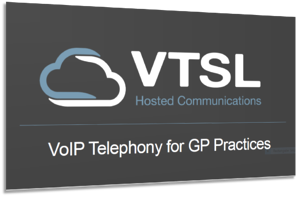 Learn more about our hosted VoIP phone system for GP practices and how the solution will help your practice in this quick & easy to digest Ebook. 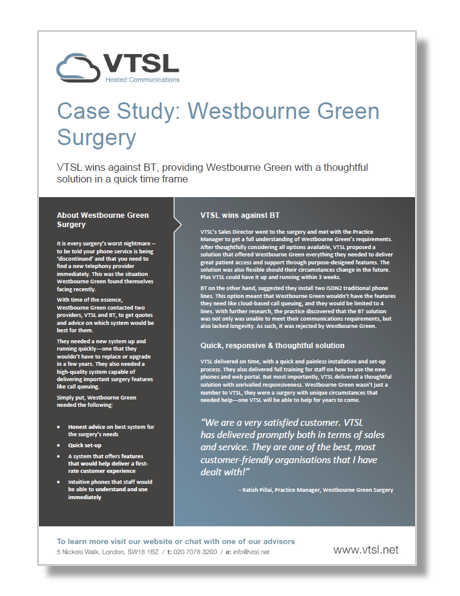 VTSL chosen over BT, demonstrating straight-forward advice and fast installation. 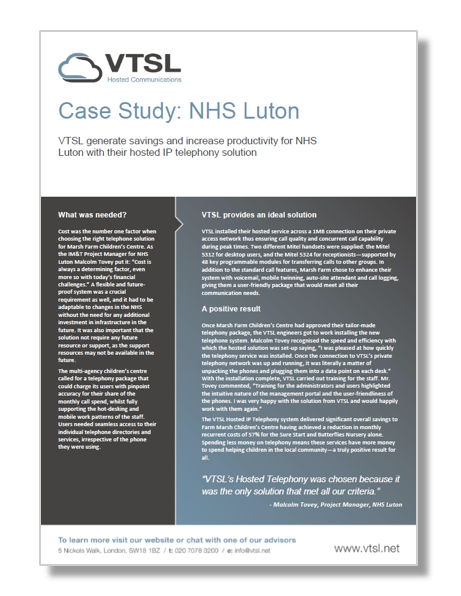 Cost was a primary determining factor for NHS Luton, but having a future-proof system was too. West End didn't have time for a complicated switch over. VTSL made it easy.